As this season hurtles towards a close it’s hard to believe that I haven’t found the time to post on here since March… this year has gone by faster than ever and finding the discipline and motivation to write has been elusive to say the least! Regular guests at Les Crouquets may well have heard our daughter Emma sing before , either here or at local events and more recently with our son, Alistair who also plays the guitar. 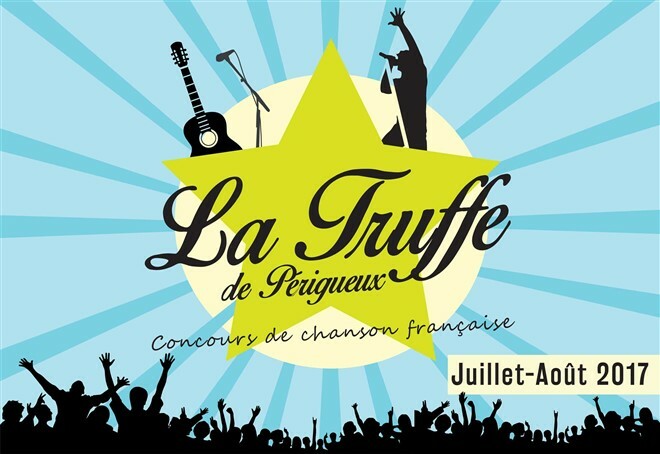 This year they both decided to audition for a place in La Truffe de Périgueux – this is a strange name for a singing competition but I presume it’s linked to prestige, both the truffle and the contest being well sought after products! ……. 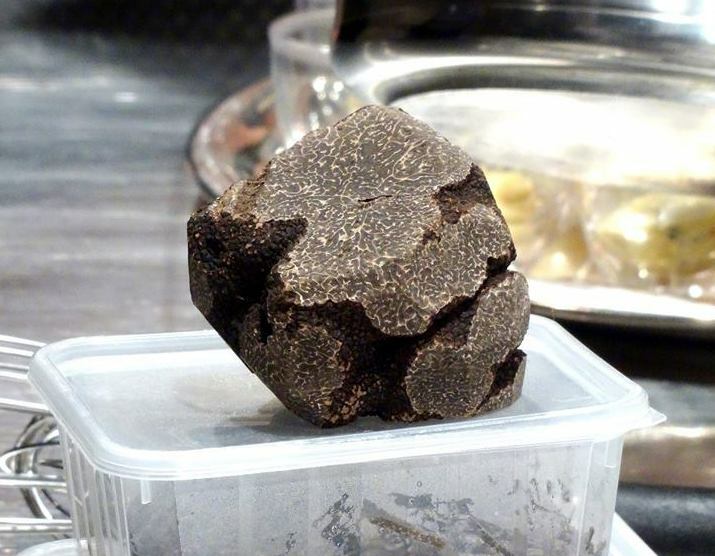 and its prestigious counterpart worth around 1200 € a kilo! 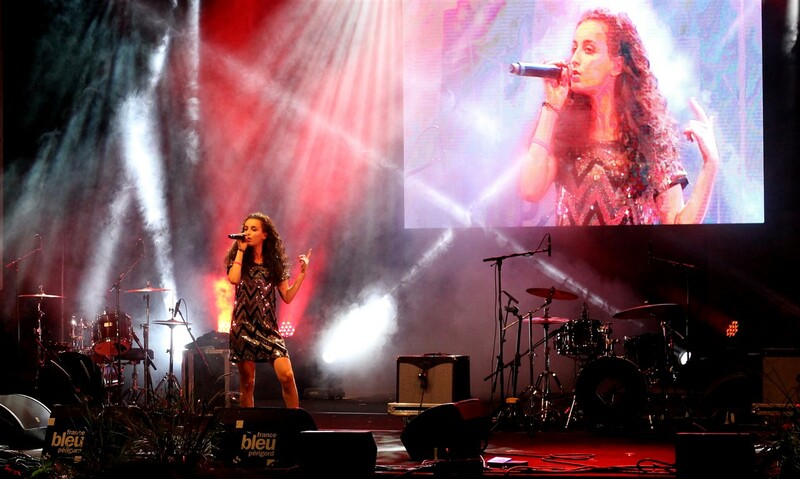 7 auditions were held at various venues around the Dordogne and Emma qualified for the semi final first time round. Disappointingly Alistair wasn’t selected and in spite of several people saying he should try again next year, he was undeterred and decided to have another go at the auditions in Boulazac. “If at first you don’t succeed……” yes, his persistence paid off and in spite of facing an audition with some very stiff competition he was selected for the semi final. He couldn’t believe it and genuinely thought that he would have no chance at making the final. Both the semi final and the final were held at the spectacular Parc Gamenson in Périgueux which was first acquired by the state in 1876 . A beautiful backdrop for a fantastic two nights of entertainment. We were absolutely thrilled that both Emma & Alistair got through to the final and so pleased that at least if they got no further they had both done themselves proud and anything else was a bonus! I was so impressed at how all the contestants coped with the pressure, especially the Jeunes Espoirs section who had children from 9 to 15 years old. Anything live brings an extra pressure as there’s no take two and your reputation is on the line. 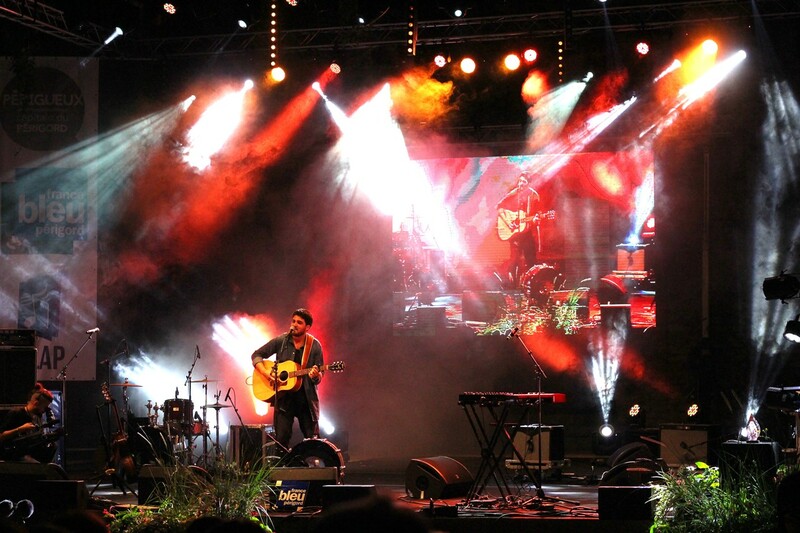 There were between 3500 and 4000 in the audience, plus it was streamed live on Facebook and on the radio’s website as well as broadcast live on all of France Bleu’s South West France stations. You wouldn’t have got me up on that stage for love nor money! The 13 strong judging panel was headed up by local musician Tibz whose recent track Nation has been featured widely in France this year. Also performing was Ours , another famous French musician with an even more famous Dad, Alain Souchon. Anyway let’s cut to the chase – after watching all the performances and entertainment (and celebrating Emma’s 20th birthday in the park with cake & bubbly) waiting for the results was one of the most nerve wracking experiences we’ve gone through for a long time …. of course you always hope your children will do well but the competition was stiff and so diverse that it was anyone’s guess. So you can only imagine how over the moon we felt to hear Alistair get 3rd prize and Emma get awarded 1st !!!!!! To everyone who wished them well and supported them on the night from near and afar …. thanks a million!!! Emma’s winning performance – listen here! 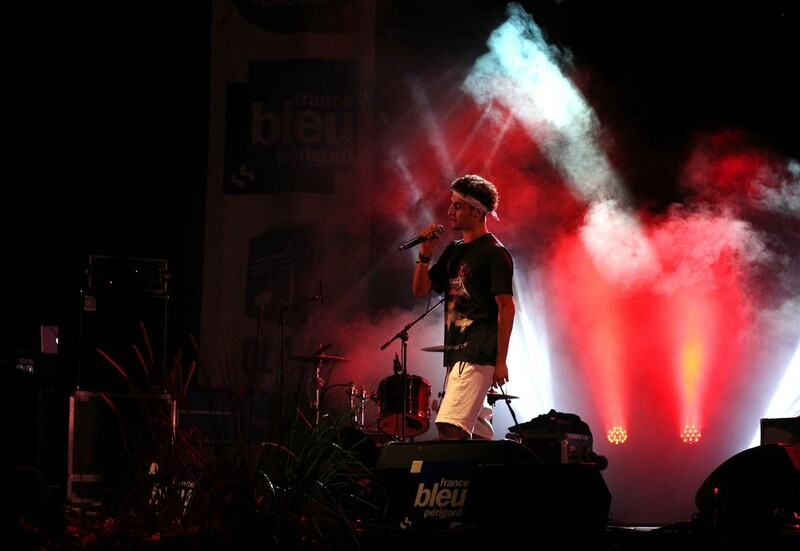 Alistair’s performance of “Liberta” by Peps earned him 3rd place – listen here! So if you happen to see me and Amar strutting around Les Crouquets with our chests all puffed out like a couple of cockerels on steroids, don’t worry about it – it’s just parental pride 😉 !! 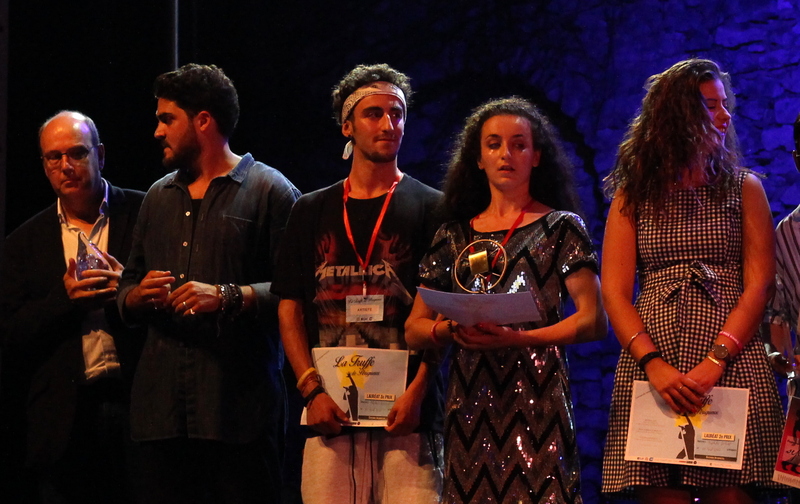 PS – a massive congratulations to all the contestants and in particular to Alysce , a hugely talented singer songwriter who walked away with nearly all the prizes for that category!! A special thanks to France Bleu Périgord and CLAP Périgueux for providing us all with a fantastic experience! Merci à tous !!! !